Precision viticulture software that enables you to identify and manage variability to increase your bottom-line. 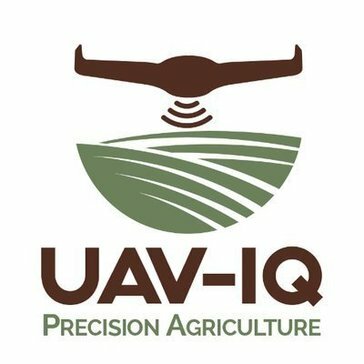 What Precision Agriculture solution do you use? Trimble integrates a wide range of positioning technologies including GPS, laser, optical and inertial technologies with application software, wireless communications, and services to provide complete commercial solutions. Famous Software provides accounting, inventory management and shipping software to fresh produce growers, packers, shippers, distributors farm managers, labor contractors cooler operators and wholesalers. AgroSense changes the technology of plant growing. It combines the precision soil state measurements and insect presence observations with the latest science results of irrigation and fertilization control, thus improving the farming technology. Web based farm management solution made to track information in order to improve decision making abilities. Adapt-N provides proven, advanced and trusted agricultural modeling of soil, water, crops and fertilizer. Improve Your Yield with Free, Advanced Tools from the Innovators at DEKALB®, Asgrow® and Deltapine®. Intuitive, easy-to-use farm financial management. Analyze and optimize crop mixes, budgets, acreage, rental agreements, and fixed costs to increase profits and create budget stability throughout the business cycle. Sirrus for iPad helps organizations take their precision ag program to the next level by adding in-field mobility.Sirrus for iPad Premium empowers sales agronomists to make critical changes in the field and when consulting with a client. farmNXT has the most comprehensive greenhouse management software available. Our product was developed based on our team's years of experience with owning and operating large commercial greenhouses. farmNXT has the following features to enable you to manage the operations smoothly and to help farmers enhance profitability and efficiency. * We monitor all WineFlight reviews to prevent fraudulent reviews and keep review quality high. We do not post reviews by company employees or direct competitors. Validated reviews require the user to submit a screenshot of the product containing their user ID, in order to verify a user is an actual user of the product. Hi there! Are you looking to implement a solution like WineFlight?